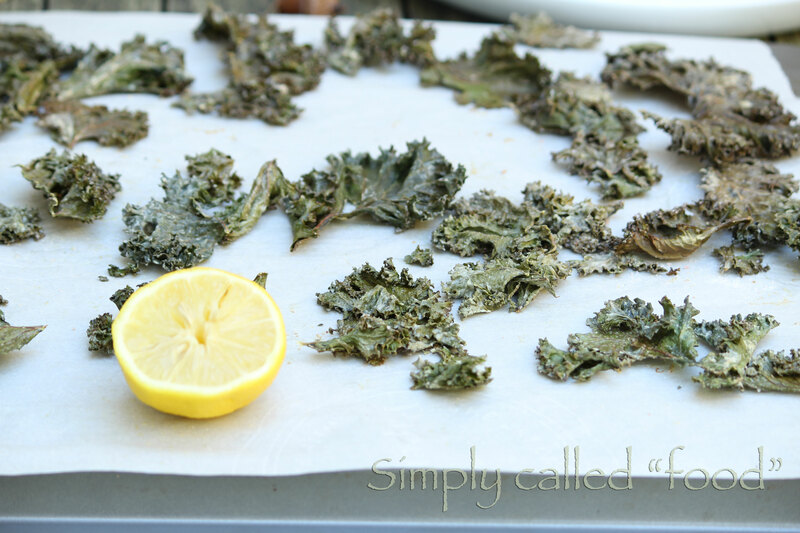 Tahini kale chips | Simply called "Food"
As soon as they came out of the oven, my daughter wanted to grab some. I told her to wait so I could take a picture, because it goes fast. At least it’s an healthy snack! If I had a dehydrator, I would have done it there, so that’s why I made it in the oven. I also wanted to add a little touch to it, make it differently, that’s why I tried tahini. It was really worth trying it if you like sesame. Remove the stem from your kale leaves. In a big bowl, combine the tahini, the sunflower oil, the lemon juice, salt and pepper. Add your kale and mix it well so your leaves get covered by the sauce. Spread the kale on a cookie sheet and make sure they don’t overlap. It will keep it’s humidity and won’t dry well. Put it in the oven for about 1 hour or until completely dry. You might need to turn the ones that don’t dry. Tags: Cabbage, Food, Fruit and Vegetable, Gluten free, Healthy, Kale, Recipe, Seeds, Sesame, Tahini. Bookmark the permalink. Kale isn’t attractive, but it sure packs a punch with nutrients. 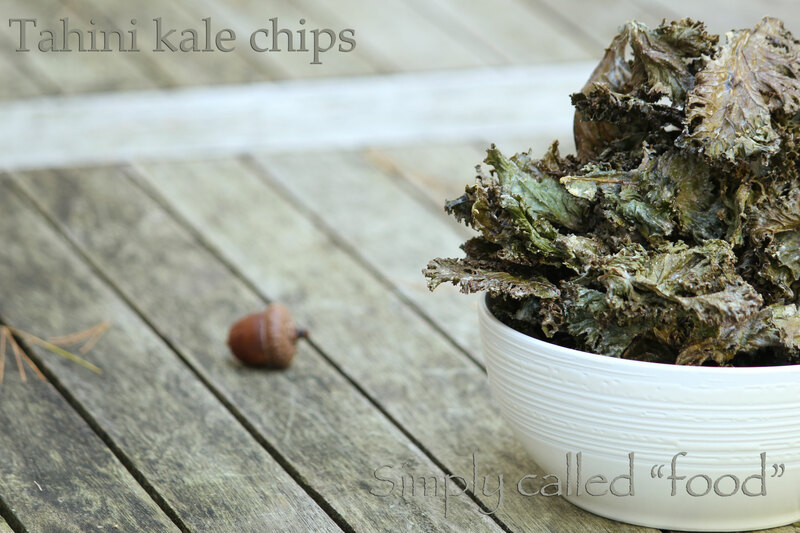 I hear form others that kale chips are tasty. I am out of kale for a couple of days. I am ready to try this, too. I need a new dehydrator. Never heard of Tahini and never eaten Kale. This could be a possible future attempt for me. Thanks for sharing!!! I need more healthy foods in my diet. New bloglovin follower too!!! Tahini is sesame butter. You usually add it when you make hummus to add flavour and smoothness. Thanks for following, I hope you will enjoy my future posts! I just made these minus the oil, lemon & pepper…I was out of them 🙂 but still they came out amazing. Thank you! I’ve made them with just olive oil before and they kept burning…this is a keeper. Thank you very much for you’re comment. It really feels good to know someone makes a recipe and it work out! Happy new year! Thanks a lot! I’m happy you like it! Have a nice week!